The first data from a phase I trial of GlaxoSmithKline's Ebola vaccine candidate suggest it is safe and stimulates an immune response. A single shot of the ChAd3-EBO vaccine - given at various doses - was administered to 20 healthy volunteers in the US and was shown to generate Ebola glycoprotein-specific antibodies in all cases with few side effects, although a couple of patients receiving a higher dose developed fever. The trial was conducted by scientists working for the National Institutes of Health (NIH), which co-developed the vaccine with GSK, and the team suggest the level of immune response generated is equivalent to that associated with protection from the virus in non-human primate studies of ChAd3-EBO. "These initial clinical data for the Ebola virus vaccine … support the safety and immunogenicity of a single vaccination," write the researchers in the New England Journal of Medicine (NEJM), which published the trial results yesterday. They note the fever seen with the higher dose was in line with studies of other vaccines using the adenovirus vector that underpins the ChAd3-EBO. NIH director Anthony Fauci told the BBC that the trial was "clearly successful" and an "unqualified success". The GSK/NIH vaccine contains two of the five known strains of Ebola - isolated from virus involved in outbreaks in Sudan and Zaire. The latter is responsible for the current Ebola outbreak in West Africa, which according to the latest World Health Organization (WHO) figures has now claimed 5,459 lives out of more than 15,000 cases of infection. A separate, unrelated outbreak of Ebola in the Democratic Republic of the Congo was declared over by the WHO last week. 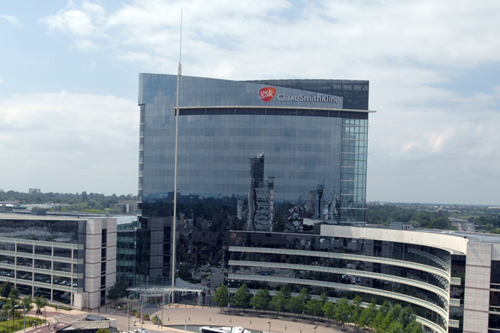 Dr Moncef Slaoui, chairman of GSK's global vaccines business, said the company was "encouraged" by the first trial results but added it is "important to remember that these data are the first piece in the jigsaw and we're continuing to gather other important information". Additional phase I data will be generated in the coming weeks, including results from trials of a monovalent vaccine (ChAd3-EBOZ) based only on the Zaire strain, said Slaoui. Using a monovalent vaccine will boost the number of doses that can be produced using the available manufacturing capacity, according to the NIH team. Further data from ongoing phase I trials in the US, UK, Mali and Switzerland are expected by the end of the year. If these go well, phase III trials will start early next year involving thousands of subjects "to see whether the immune response we are seeing in phase I actually translates into providing people in affected countries with meaningful protection against Ebola," said Slaoui. Other companies developing vaccines against Ebola include NewLink Genetics, which has just licensed its candidate to Merck & Co, and Johnson & Johnson which has said it plans to produce more than one million doses of its Ebola vaccine in 2015. GSK's chief executive Sir Andrew Witty hailed the results but told the BBC that - given the pace of the vaccine's development - it was important that companies investing in Ebola treatments have some form of indemnification against liability if unexpected side effects should emerge.